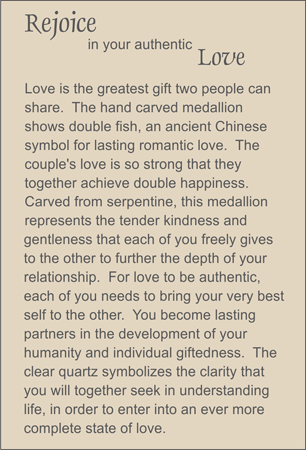 This hand carved carnelian medallion depicts two fish which were considered by the ancient Chinese to represent the couple in a loving relationship. This medallion is suspended from a necklace of carnelian tumbled nuggets that is inset with two fiery agate nuggets surrounded by faceted quartz ellipses. Faceted carnelian ellipses provide punctuation. Sterling silver toggle clasp.